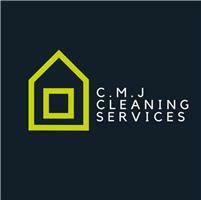 CMJ Cleaning Services - Cleaning Services based in Carshalton, Surrey. CMJ Cleaning Services strives to deliver the best possible service for our customers. Since Craig started the business in 2016 he has built up a hugely positive reputation amongst letting agents. The idea was simple; perform the best and forget the rest. This has helped the business grow because the service is second to none. CMJ is unlike other cleaning companies due to Craig being hands on and carrying out the work himself alongside his partner in the business. This guarantees 100% satisfaction for every customer. Carshalton, Cheam, Colliers Wood, Epsom, London, New Malden, Surrey, Sutton, Tooting, Wandsworth, Wimbledon, Worcester Park, Banstead, Barnes, Please contact us even if your area isn't listed.